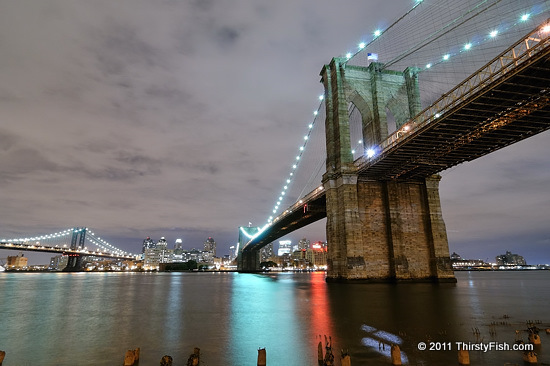 The Brooklyn Bridge, opened in 1883, is one of the most photographed bridges in the world. This is a view from Manhattan looking towards Brooklyn. "Een Draght Mackt Maght" is the official Motto of Brooklyn written in Old Dutch. It means "In Unity There is Strength".